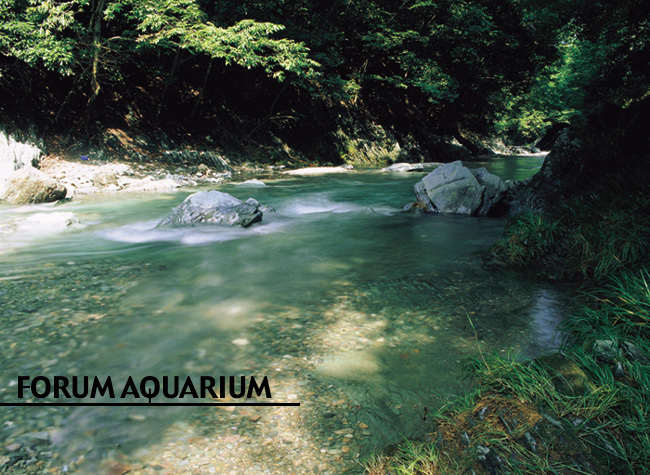 The "Forum Aquarium" ("Water Forum") is the place where those of us who are living in a river basin get together and learn as much as we can about water. Forum Aquarium (Water Forum) is a non profit organization. 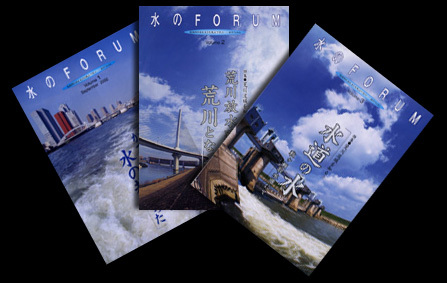 Forum Aquarium publishes periodicals "Water Forum" to learn water in and from various aspects. As residents of Metropolitan Tokyo, including Saitama Prefecture where the organization is located, we have decided to learn more about water in association with the Ara River, which runs through the Metropolitan area. The learning with the articles reported in the periodicals started from the estuary of the Ara River and are now progressing to its source. Every periodical includes an overseas report, in which commons and differences between Japan and the cities and countries we visit are introduced to further deepen our knowledge about water. Another important theme which we are interested in is agricultural water, branched from the river, the main watercourse. Rice cropping in Japan has a history of over 2000 years. The network of agricultural water canals supplying water into paddy fields covers all over Japan, and it grows not only rice but all living organism but also maintain Japan's secondary nature. We are involved in various activities to leave and hand down this agricultural water to the next generations.